Here’s the next installment of WANA Friday, in which several writers post on a common topic. The posts are meant to be short and sweet, so you can go blog-hopping and read everyone’s takes on the subject. As you may have noticed, I like travelling. I’ve just finished an amazing trip through Malaysia, Thailand, India, and Nepal. In previous years, I’ve travelled through Norway, Denmark, Ireland, England, France (briefly), and a good chunk of my own country, Canada. So where do I still dream of going? I’ve been travelling (again) and watching my less-experienced travelling companions struggling with all their stuff. Meanwhile, thanks to my recent three-month trip, I was able to get everything into carry-on for the first time ever. 1. You need less stuff than you think you do. I can almost guarantee that you won’t even miss what you didn’t bring. Don’t think “what if”, think LIGHT. And I promise other people won’t pay that much attention to what you’re wearing, so repeating outfits is just fine. So. 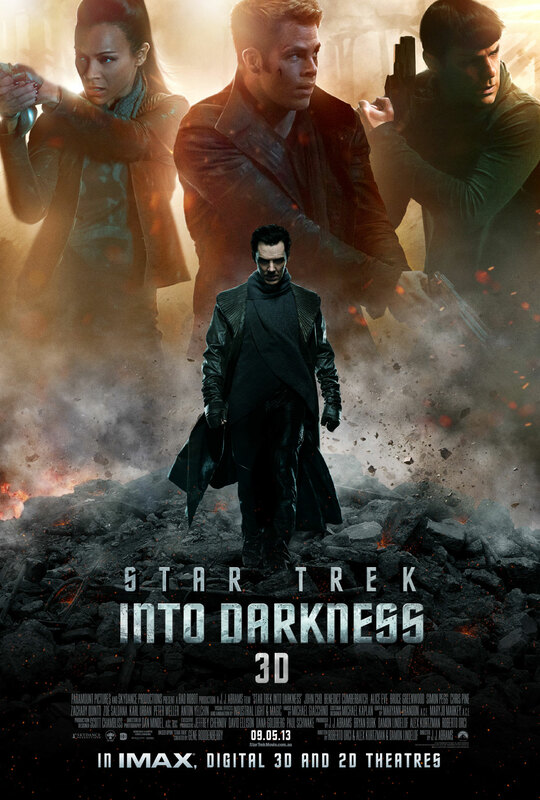 Have you all seen Star Trek Into Darkness, the new Star Trek movie? Then let’s talk about it. Please note: this is not a review, it’s an analysis. There will be spoilers (I’ll post a warning where they start)! And, er, it got a bit long. Apparently I have many thoughts…. I had very mixed feelings about the first reboot film. I understand that the producers wanted to make Star Trek more appealing to a younger crowd, less bogged down in its own history. Having recently rewatched several of the older films, much as I love them, I can see why they felt it was necessary. If you weren’t already a fan, you’d be lost. But they ended up making a film that, to me, felt like a generic science fiction flick. There was none of the “sense of wonder”, the delight in science, the “infinite diversity in infinite combination”, that was such a central part of the TV versions of Star Trek. The films were always more action-y than the episodes, but the best of them always had something science-y to make you feel awe – the Genesis project, the whales, saving humanity’s first contact with the Vulcans. The movie didn’t have any of that (Red Matter notwithstanding). As well, I couldn’t get over seeing the new actors in the familiar parts. It felt like a tribute band. No matter how well they performed (and they did a good job, especially Spock), I couldn’t suspend my disbelief – I never forgot that I was watching actors. Funny, since I was perfectly happy to accept Red Matter and exploding planets and even time travel and universe rebooting, but there you have it. So I approached the sequel with trepidation. But I went, because it was still Star Trek. In general, I was pleasantly surprised. The sequel felt more like a Star Trek movie to me than the first one did. I’m not sure exactly why, because “sense of wonder” was still pretty much absent. Maybe the actors were getting more comfortable in the roles; the character arcs were moving a little closer to the older versions we know so well (more about that later! ); we didn’t have to spend half the movie getting all the crew members into place. After the obligatory beach vacation on Koh Samui, we rounded out our visit to Thailand by finally braving the metropolis of Bangkok. We’d heard that it was intense and that the driving was crazy (this from Malaysians), so we’d decided to leave it for last, after we’d acclimatized to the country. Good decision — but we were still unprepared. Especially since we were coming from the quiet, laid-back beach, Bangkok hit us like a ton of bricks. 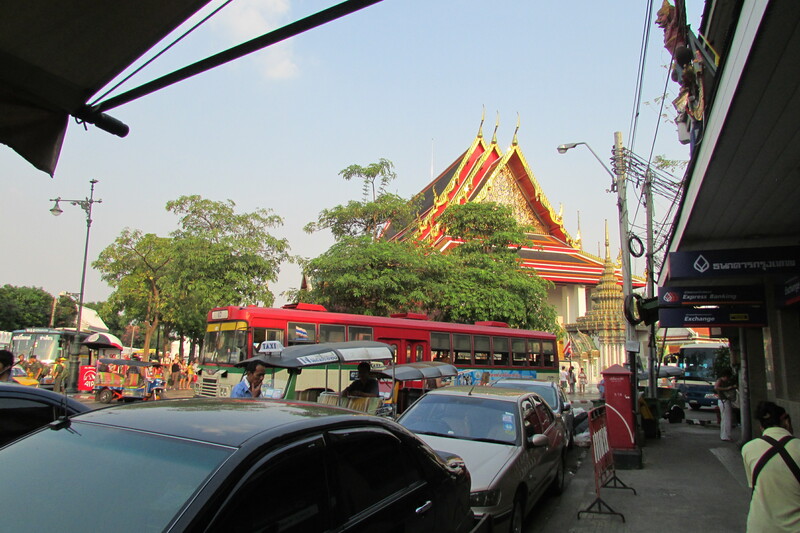 The heat and humidity, the busy-ness, the traffic (and we thought Chiang Mai was bad! ), the distinctive growl of the tuk-tuk engines, shanty homes crammed into odd places next to modern towers. Last week I told you about a call for submissions from Turtleduck Press, and promised to tell you a little more later. Well, later is today! …so we’d be publishing works of quality and also look professional — both good ways to attract (and keep!) readers. I’m excited to be starting a new series of Friday posts as part of a writers’ community I’m in, WANA (We Are Not Alone). We’ll all be posting on a common topic on Fridays, and sharing links to all the participants’ posts so you can go blog-hopping and read the different takes on the same topic. This week’s WANA Friday topic is a favourite or inspiring work of art — a painting, a piece of music, and so on. First of all, I am thrilled to announce that Turtleduck Press, the indie co-op press I’m a part of, is opening to new members as of today. We’re looking for novel submissions from science fiction and fantasy writers. I’ll be talking more about this on Monday, but in the meantime, to learn more, check out the announcement at Turtleduck Press! Second, a bit of trivia for you. Norway is my ancestral home — three of my grandparents were born there — and I was lucky enough to visit in 2001. This Friday is the Seventeenth of May, the Norwegian equivalent of Independence Day or Canada Day. It originally commemorated the signing of the Norwegian constitution in 1814, although Norway didn’t achieve independence (from its union with Sweden) until nearly a century later, in 1905. As a holiday, the Seventeenth of May, or Syttende Mai in Norwegian, has become a day to celebrate the country, mainly with flags and children’s parades and the singing of the anthem — “Ja, vi elsker dette landet”, or “Yes, We Love This Country”.